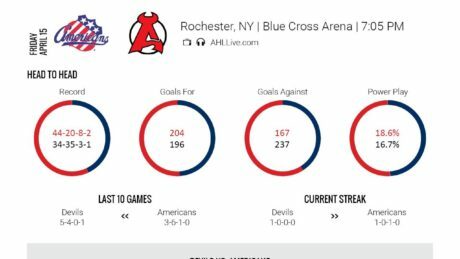 The tale of the tape between the Devils and Americans. 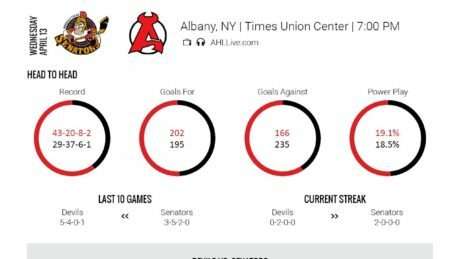 How do the Devils and Senators match up? How do the Devils and Crunch match up? 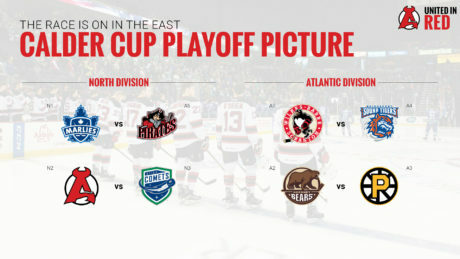 Here’s a look at the playoff picture with just six games remaining on the Devils’ schedule. The Devils host the Falcons Saturday at 5 pm. Here is the tail of the tape. The Devils and Senators go head to head Friday. Here is how the team’s match up. The Bears stand in the way of the Devils shot of clinching a playoff berth Saturday. Here is how the team’s match up. How do the Devils and the Crunch match up ahead of their game Friday at 7 pm. How well do the Devils match up with the Falcons? 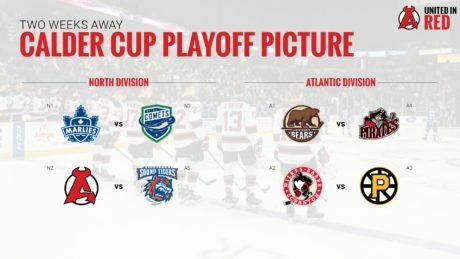 Here is a look at the playoff picture as we near the April 16 regular season deadline. Here is how the Devils and Comets match up ahead of their game Saturday.